This project captures the lives of career waitresses who have been dishing out everything from eggs to insults in diners throughout the United States. 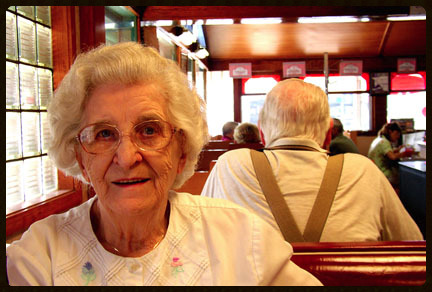 It incorporates cultural criticism, documentary photography and oral history to show how veteran waitresses manage to serve a full station of hungry diners during the lunch rush, charm their regulars and make a comfortable living. It outlines the skills and the tricks of the trade required to excel at the job and the relationships that are built among the staff and the regulars. It also addresses the generational issues they have working with the younger servers and why these women choose to work past retirement age. 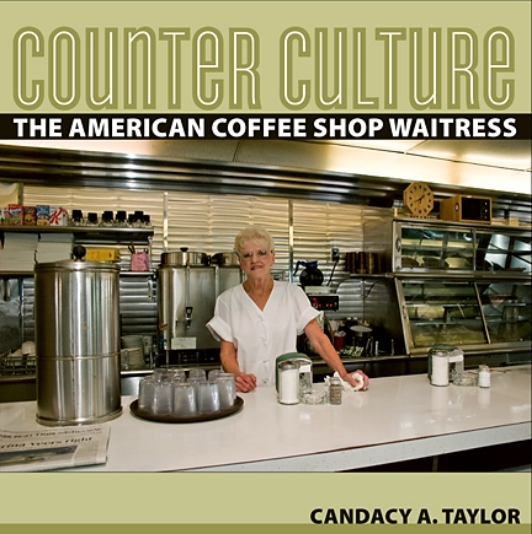 Author and photographer, Candacy Taylor traveled over 26,000 miles photographing and interviewing waitresses in forty-three cities. Despite the assumption that waitressing is a grueling, thankless job, these women enjoy their work. They believe waitressing keeps them in shape, sharpens their minds and fulfills their desire to make meaningful human connections. They are a resilient group of hardworking women who have raced to our tables, argued with the cooks, and brought meaning and culture to the American roadside dining experience. Counter Culture consists of a book, traveling exhibition, radio documentary and lecture series. Here is a short video of Counter Culture (produced and edited by Patrick Gleason). The touring exhibition made Southwest Airlines' top ten list of things to see in the US. FREE COUNTER CULTURE JPG - If there's a photo that you want, describe it here. Otherwise we will choose one for you.